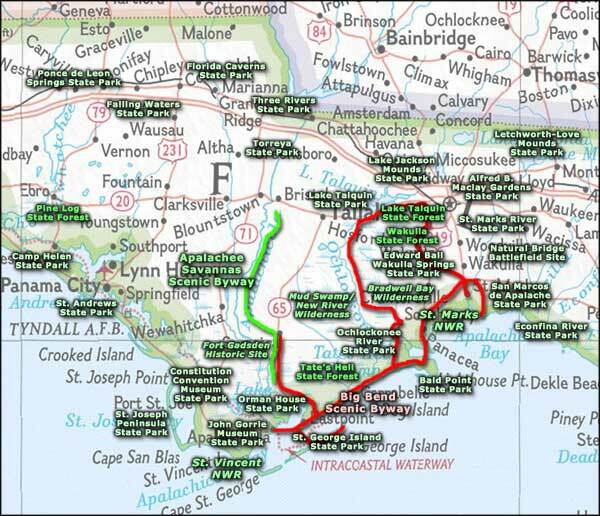 St. Marks River State Park is slated to be Florida's 161st state park, but information about it is rather slim. Apparently it's a 2,589-acre property that was bought by the state to buffer the St. Marks River from surrounding developments, protecting the natural communities in the floodplain and preserving the water quality. The property is composed of flatwoods, sandhill, floodplain forest, xeric hammock and bay heads. You'll find fox, deer, wild turkey, bobcat, fox squirrels and black bear in these woods, and hawks, owls, ducks and other wading and shorebirds in the air and on the water. 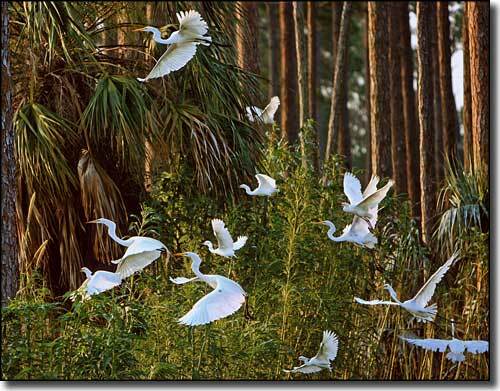 Photo of Common Egrets along the St. Marks River courtesy of Betsy Kellenberg.